badger11’s take on anime » SHUFFLE! 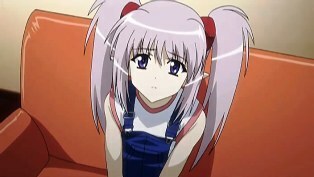 March 09th, 2007 | Category: Anime, SHUFFLE! I found episode 8 more light-hearted than the previous one. I suppose that its because Rin finally chose his “girl” and this is just a recap episode, it isn’t out of place to have that decision made in the middle of the series. Even during the more serious moments with Asa in the hospital., the mood wasn’t that depressing. Actually, it wasn’t that romantic either as it wasn’t unexpected to find Rin waiting there by the bed during the night. But then, that was pretty much explained in episode 7. It was just…’about damn time’ sort of a mood. What was unexpected was that Ama was part of an experiment. February 24th, 2007 | Category: Anime, SHUFFLE! Ya know, every time I see Primula, I think of the tasty Norwegian cheese spread and the even tastier Norwegian mayonnaise that I grew up on. I suppose its because this version of the show is more of clip job that we don’t see any new material. Too bad. Its like watching a Quentin Tarantino film on a television network. You know the network has edited down most of the interesting parts and yet they’re bragging about how they’re pushing the edge of broadcasting. And yet, Kaede the in psycho-emo mode was pretty interesting to say the least. The way this episode was edited makes it look like Asa collapsed from Kaede’s assault, but since its a clip show and we’ve seen that Asa had problems as a kid, I wouldn’t be surprised if that was a returning issue that just happened to coincide with this episode. 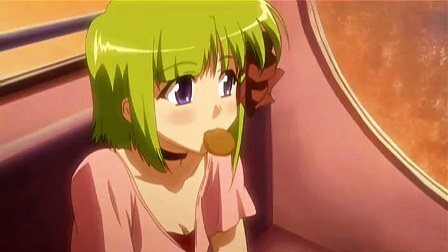 February 17th, 2007 | Category: Anime, SHUFFLE! This episode covers Primula’s introduction and I think we’ll start seeing the remaining episodes resolves the stories of all of the girls and Rin. I actually found myself saying “kawaii desu ne”* several times. Well, that whole silent girl in rain routine was cute. I had a good laugh at the exchange that Rin and Itsuki had in the beginning. 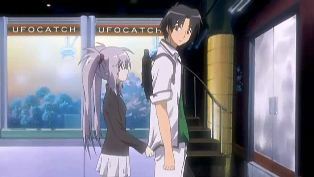 February 13th, 2007 | Category: Anime, SHUFFLE! Its taken me awhile to figure what annoyed me about this show. It wasn’t the borderline disinterest in any of the characters at first. I’ve come to like them and Rin should choose Mayumi. It wasn’t until I marathoned all of the released episodes several times to realize that certain episodes just annoyed me while others were just fine. January 12th, 2007 | Category: Anime, SHUFFLE! I don’t remember the first round of this show (but then I don’t remember what happened last week either, yare yare). More than likely I watched the first episode and said “Fail”. Either that or I was in a “You can’t beat the greatness of Honey and Clover” mode. If I had known paid attention to the fact that Tomokazu Sugita was in both shows, I would’ve watched just to compare them both. So I figure that I’ll watch this version since I’ve dropped Code Geass and I’m looking for a fluffy cotton candy type show. 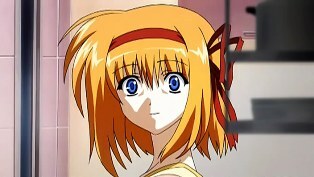 Plus, it has the Asahina moe-ness, Otobuko Ichiko of in the form of Yuko Goto.